JLP has been our payroll service provider for over two years. Julie and her team are always helpful and efficient in producing our monthly payroll and responding quickly to any queries. The payroll service is a vital, but often time consuming part of any company. 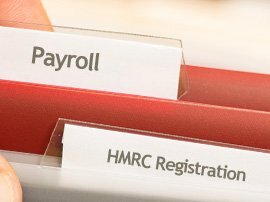 At JLP Payroll Services, we are dedicated to providing a Quick, Efficient and Accurate out-sourced payroll service to our clients, a service that’s more important than ever to our clients with HMRC’s introduction of RTI – Real Time Information - from April 2013. With clients in the following sectors: residential care homes; pre-school nurseries; pubs/restaurants, hotels & cafes; engineering; health & beauty; cleaning & maintenance; temp agencies; churches and estate agents, if you’re looking to outsource your payroll, then you’ve come to the right place, especially with RTI just around the corner. With over 20 years experience of running company payrolls of all types and sizes, we can take control of your entire payroll operation, enabling you to get on with what you do best: running your business. All pay periods: we offer weekly, fortnightly, 4 weekly, monthly and quarterly payrolls to suit your needs. All types of pay: basic, overtime, holiday pay, sick pay, statutory maternity pay, attachment of earnings, pensions, student loans, etc. HMRC registration and on-line filing: we register all our clients with the HMRC using our Agency Number. This means we can file all documents on line, on your behalf, to meet all the HMRC’s requirements, including P45, P46 and P35. We also field any queries that the HMRC might have, direct. PAYE registration: any new clients that we take on who are new employers, we register the business for PAYE on their behalf. Once everything is set up, it’s very simple. All you need to do is ‘phone, fax or email your monthly hours through to us, and we do the rest. If you wish, we can design a bespoke spreadsheet for you with all the standard information on it, i.e. name, salary, pay rate etc., with further columns for bonuses, holiday pay, expenses, commission etc., where you just input anything that isn’t part of your employees’ normally monthly salary. Then, once we receive your payroll information for the month we import it straight in to our system, ready for processing. Email or post any reports to you, including bank import files to allow you to transfer the employees’ pay to them. Keep records at our offices in order to complete the year-end and balance the account off. Once we have completed the payroll, we update the spreadsheet with any new starters or leavers, ready for you to make any necessary changes on for the next payroll.